Dozier moderated at the Atlantic Dialogues 2017, Africa in the Atlantic: Time for Action, in Marrakesh, Morocco. Panelists discussing Security in the Sahel and Transatlantic Implications, included: Youssef Amrani, Head of Mission, Royal Cabinet, Kingdom of Morocco; Tewolde Gebremeskel Redda, Director of peace and security division, Intergovernmental Authority on Development; General (Retired) Nick Parker, Senior Associate Fellow, RUSI; and Kurt Volker, Executive Director, McCain Institute for International Leadership. Dozier spoke about trauma, injury and resiliency to a group of mostly women veterans at a Melwood retreat on the Eastern Shore, Maryland on October 20, 2017. Dozier moderated a panel at the Aspen Security Forum in 2017, with Ambassador to Iraq Fareed Yasseen; ISIS coordinator Brett McGurk; and New Yorker columnist Robin Write, from July 19 to 22, in Aspen, CO.
Brussels Forum 2017 End of Complacency — Era of Action? Dozier moderated the panel, Atlantic Security: Risks, Fragility and Paths to Resilience, at La Mamounia Hotel, Marrakesh, Morocco, at December 16, 2016, with panelists: Erika Ferrer, Ambassador to the Kingdom of Morocco, Embassy of Sweden; Youssef Amrani, Head of Mission, Royal Cabinet, Kingdom of Morocco; Michael Franken, Vice Admiral, Deputy to the Commander for Military Operations, U.S. Africa Command; Bernardino Leon, Former UN Special Representative to Libya. Dozier moderated “War Without End: Counterterrorism in Afghanistan and Pakistan,” at the 2016 Aspen Security Forum, with panelists including Ryan Crocker, Dean and Executive Professor, George Bush School of Government and Public Service, Texas A&M University, Former Ambassador of the United States to Afghanistan; Hamdullah Mohib, Ambassador of Afghanistan to the United States; and Rizwan Sheikh, Deputy Chief of Mission, Embassy of Pakistan in Washington, D.C.
Dozier moderated A Grave New World: Future Global Security Challenges at the Brussels Forum 2016. Panelists included H.E. Toomas Hendrik Ilves, President, Estonia; The Hon. Jeanne Shaheen, Member, U.S. Senate and H.E. Jens Stoltenberg, Secretary General, NATO. Dozier moderated “Special Operators and Intelligence Analysts: the 21st Century’s Lead Warriors,” with Michael Vickers, Former Under Secretary of Defense for Intelligence, Kathleen Hicks, Senior Vice President, Henry A. Kissinger Chair, and Director, International Security Program, Center for Strategic and International Studies and Eric Olson, former Commander of US Special Operations Command (SOCOM) and a member of the Aspen Institute Homeland Security Group. Watch video of the program. On May 8, 2015, the Swiss Embassy in Washington D.C. hosted a very special evening showcasing the Red Cross StoryCorps Initiative. Dozier emceed the event, which included a StoryCorps recording by her father Ben Dozier and sister MeiLee. See more at: StoryCorps. https://vimeo.com/127581235. 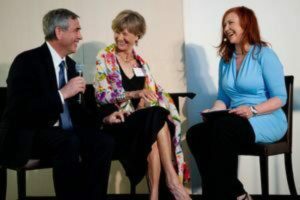 As part of the Red Cross event, “Black Hawk Down” pilot and former POW, Mike Durant, was reunited for the first time in 20 years with the ICRC delegate, Suzanne Hofstetter, who risked her life to visit him in captivity during the infamous “Battle of Mogadishu” in Somalia. Dozier moderated the conversation. 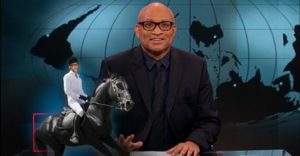 Kimberly Dozier appeared on The Nightly Show with Larry Wilmore & guests Michael McKean, Negin Farsad and Wes Moore, discussing ISIS and America’s foggy relationship with war. 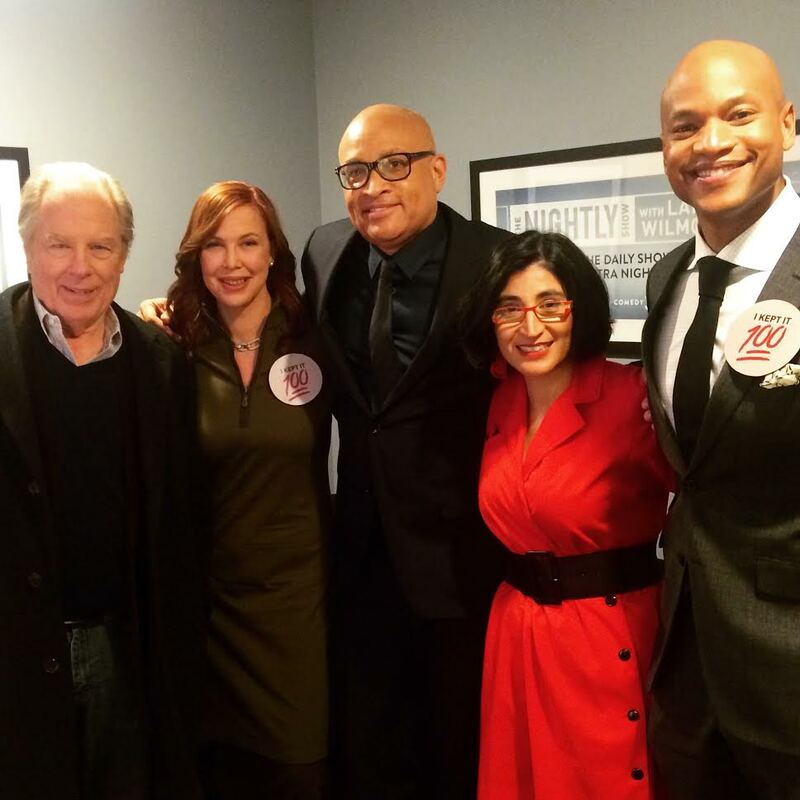 See the whole show, panel, and #KeepIt100 game.